Advanced Moisturizer with Dead Sea Minerals and the innovative algae “Dunaliella” irrigates the skin with natural humectants and creates natural conditions to alance the level of moisture that is essential to keep the skin looking fresh, refined and luminous. The Multi Vitamin compound A, C, E, and ProVitamin B5 with the UV filter creates a protective layer against oxidants, pollutants and harmful sunrays. Advanced gentle Moisturizer that helps your skin to consume exactly the right dosage of natural humectants needed, whilst protects it from appearance of fine lines and signs of ageing. The Multi Vitamin compound A, C & E plus the UV filter creates a protective layer against oxidants, pollutants and harmful sunrays, fortifying the natural process of rejuvenation. 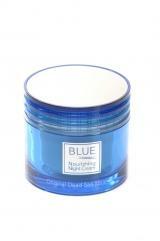 Powerful Moisturizer with Dead Sea Minerals, unique proteins and the innovative algae Dunaliella. Irrigates the skin with natural humectants and creates natural conditions to balance the level of moisture that is essential to keep the skin looking fresh, refined and luminous. The Multi Vitamin compound A, C, E, B5 with the UV filter creates a protective layer against oxidants, pollutants and harmful sunrays. 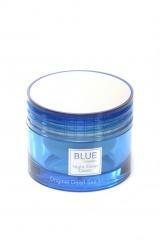 This unique extra light textured cream was specially formulated to regulate the moisture of oily & problematic skin. 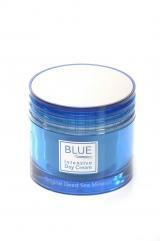 The Dead Sea minerals have the necessary antiseptic ingredients and with the calming extracts reduce irritation and make redness and tightness disappear. With daily use complexion turns to be more normal with radiant healthy look. 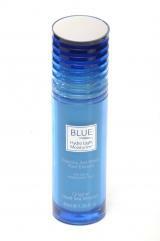 With Multi-Vitamin Compound – to restore moisture level, smooth and protect skin. Advanced Nourishing Night Cream with Dead Sea Minerals and the innovative algae “Dunaliella” helps to stimulate the re-energizing of the skin cells. 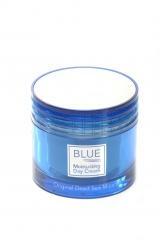 This extra rich Night Sleep treatment was developed to treat sensitive dry and very dry skin. It is designed to work in synergy with the skin’s natural cycle to awake the inter-cellular flow of nutrients and help optimize the conditions it needs 24 hours.